Porch light not working, how to troubleshoot? I help maintain a rental property owned by my son, who lives far away now. The tenant recently told me the porch light does not work. It holds two lights. I tested both light bulbs and they are OK. I replaced the wall switch located near the door to the porch but that did not resolve the problem. The switch is in a 3-switch box containing two other switches for interior lights and they are working. Of course, I could replace the light fixture but it's just a simple device that connects to the wiring in the porch ceiling. I don't see how it could be the cause unless the wiring in it is bad. Can I just touch the two prongs to wiring contact points on the light fixture or on the switch in the wall box to get an indication of whether current is flowing to the wall switch and then to the wiring in the porch ceiling? If so, how do I do this with the device? The problem could be a loose neutral in the switch box, or loose connections in the porch fixture. See Troubleshooting a dead receptacle or light + Basic Terminology for more ideas. Just a tip switches and fixtures are usually the least likely cause so they are the last thing to consider replacing. 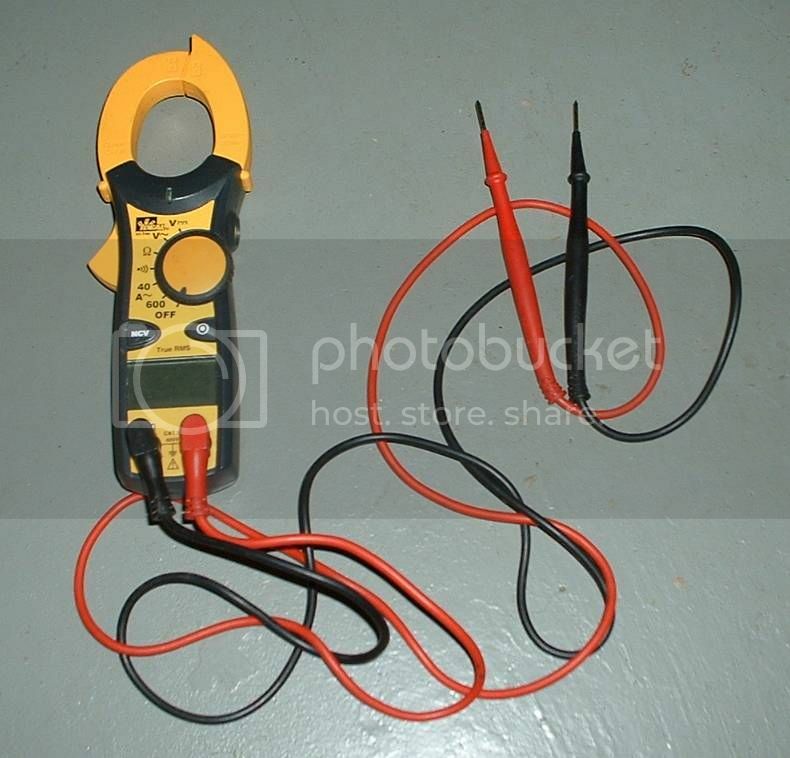 A (single location) switch can easily be checked by removing the two wires to it (but not the ground wire) and connecting them together with a wire nut. If the light works replace the switch. If it doesn't you have other problems. A lamp base is most likely to have a tab in the bottom that does not touch the bottom of the bulb. With breaker off use needle nose pliers to bend it up a bit. I'd suspect internally corroded wire nuts, especially at the out side fixture, but they could also be at the switch. Remove and replace the wire nuts with new ones.Check the wires for corrosion before re-nutting. As Ray mentioned, the switches and fixtures are not usually the problem. Turn off the breaker and remove the fixture, check the wire nut connections. If all is decently clean and you see no visual breaks or corrosion, proceed to test the line with the meter you have. Switch the tester on to the "V" scale with voltage listing at least 120vac. Turn the breaker back on and turn the wall switch to "on". Put one lead of the meter on the ground wire or neutral white, and touch the other lead to the black wire and read your meter. If your meter indicates about 120 volts, this indicates you have power to the fixture. At this point, if you have an old fixture that works, shut off the breaker and attach it temporarily and see if it lights. If it does, your old fixture is defective. If you have no voltage at the fixture and you have already replaced the switch, use the test meter the same way at the switch to determine if you have voltage to the switch; with the switch "on" you should have voltage on both terminals of the switch. If you do have voltage on both terminals of the switch, there is a wire break somewhere between the switch and the fixture. Use caution with the meter probes on live circuits, shorting across metal and your contact can produce some flashy sparks. If you don't feel comfortable doing this, call an electrician.